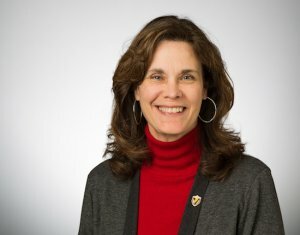 Valparaiso University announces Trisha Mileham, MALIS, will serve Valpo’s faculty, staff and students as dean of the library. Mileham has been serving as the dean of the library in an interim capacity since April, and this appointment places her into an ongoing role as dean. Mileham joined Valpo’s faculty in 1998, was promoted to associate professor in 2004 and was granted tenure in 2005. In 2008, she was named director of research services, managing the team-based department that encompasses library instruction, reference, circulation, programming, and outreach services. Previously, she has served as an advisor for the exploratory major and has taught in the Valpo Core program. She also serves as a mentor for pre-tenure cohort librarians. Mileham holds a master of arts in library and information science from the University of Iowa and a bachelor of arts in English from the University of Wisconsin-Stevens Point. She is a member of the American Library Association (ALA) and actively involved with ALA’s Association of College and Research Libraries, Library Leadership and Management Association, and Reference and User Services Association. In 2018, Mileham was selected to be a Library Senior Fellow at UCLA. This international cohort of 17 top managers of academic libraries participated in a three-week residential program that combines management perspectives, strategic thinking, and practical and theoretical approaches to the issues confronting academic institutions and their libraries.